ST. LOUIS, MO - The SLSG MO Girls ECNL Program recently returned home from the first National Showcase event of the season. 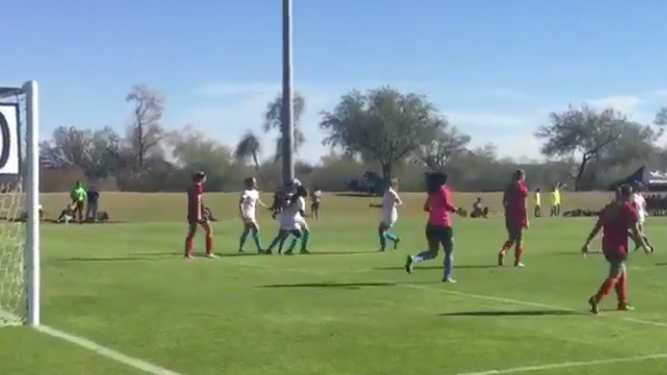 The U16, U17 and U18/19 teams traveled to Phoenix, AZ to compete against some of the best clubs in the southern region. "Playing against clubs such as San Diego Surf, Dallas Texans, TopHat, SoCal Blues etc., is why we play in this league," said Ralph Richards, ECNL Director. "I know the girls and staff were extremely excited when the schedule came out. I was only hoping the excitement wouldn't turn to nerves come game time." The fear of nerves was eliminated as the three groups combined to finish with a record of 9-0-0. The first day started with the U18/19's playing San Diego Surf and running away 6-1 winners with a brace by both Blythe Beldner and Emily Groark. 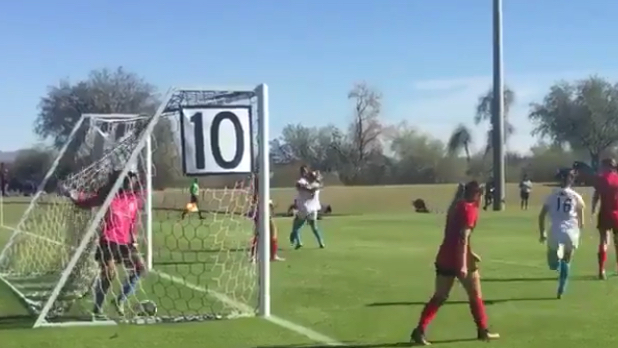 The U17's won 3-2 vs. Dallas Texans and the U16's won 3-1 with another brace from Hailey Cloud who scored off two corners. Day two started off with another comfortable win for the U18/19's. Abbie Miller and Hadley Cytron had two goals each and it seemed to be infectious for one player to get on the score sheet twice. Naomi Ferguson was able to do in the 2-1 win over Arsenal. "The third goal was very special for the team," said Richards. "It came off some good build up down the left, with a beautifully flighted cross to the back post for Naomi to rise above the defender and nod it in." The day was complete with a hard fought performance by the U16's against a strong Armada WFC team. The team came back from 1-0 down at half time with two second half goals from Ava Tankersley and Caroline Cole. The hardest game on day three proved to be with the U18/19's against Concorde Fire. It took the girls until the second half to break down the defense, but three goals in the second half made for a convincing win. "They were organized and compact which made it very difficult to break them down," said coach Scott McDoniel. "We encouraged patience in the final third knowing that an extra pass may create a better opportunity." Both the U16's and U17's had more comfortable final games with the U16's winning 5-0 and the U17's capping off a great undefeated weekend for SLSG MO ECNL with a 4-0 victory over Orlando City.